External Lighting. Aesthetics and Brightness. "It is better to light one small candle than curse the darkness" – this was quite clear even to Confucius. But in the days of the Chinese philosopher, sources of light were still too few and far between to be a subject of any great reflection. His considerations were probably concerned more with inner enlightenment. Around 2500 years later, we have long since overcome darkness thanks to artificial exterior lighting. In its glow, only grey cats today are still grey. Nevertheless, high-quality external lights have to satisfy many different needs and purposes. They have to be robust enough to withstand outdoor conditions, provide sufficient light for easy navigation and create a pleasant ambience. Not least of all, as a representative of the house, lights should also reflect the good taste of its residents. Manufactum's range of lamps and luminaires has something to suit every requirement, and they combine durability with a stylish, purist design. Good Lighting for Greater Safety. In the middle ages, communities prepared themselves for darkness like a ship's crew braces itself for a gathering storm. From nine o'clock in the evenings, hatches were battened down, and everyone withdrew into their homes. Street lanterns did not exist, and the nights belonged to shady characters. If people did have to venture outside, it was customary to hire torchbearers as escorts well into the 18th century. The issue of safety still plays a key role in our choice of outdoor lighting today – in two respects. Lighting in entrances, walkways and drives can effectively deter burglars – especially when connected to time switches and motion sensors. This protects residents against unpleasant surprises and gives visitors a feeling of safety. A well-lit entrance area, however, also looks welcoming and saves potential guests the trouble of having to search for house numbers or signs in the dark. And good illumination can also take the fear out of even the trickiest of steps. Planning Outdoor Lighting Effectively Rather Than Randomly. 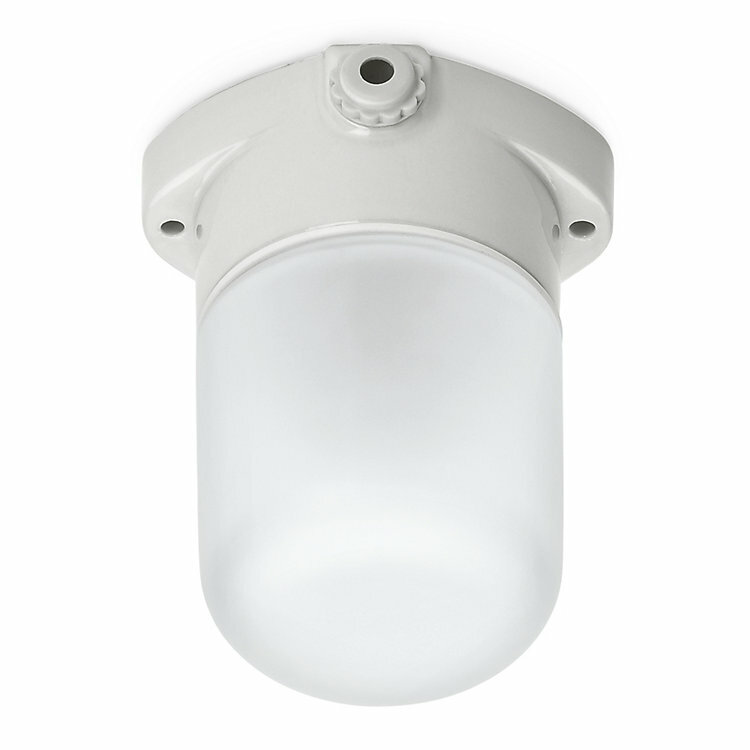 Whether you think of wall-mounted lamps, ceiling fixtures, path lights, bollard lights or even mobile light units – when it comes to outdoor lighting, purpose and location ultimately determine the type of lamps that are needed. The following questions can help you draw up an effective lighting plan: it's important to consider several factors and not to choose the lighting randomly. Which outdoor areas need to be illuminated, and what are the conditions the lamps will be exposed to? Depending on location, outdoor lamps must be able to withstand varying degrees of dampness, dust and temperatures. The IP Code provides the relevant details. What is the purpose of the outdoor lighting? The degrees of brightness and light colour depend on the purpose of lighting. While a light output of 400 lumens is enough to illuminate a house wall attractively, lighting in entrances can be significantly brighter – although, of course, care should be taken not to dazzle neighbours. What kind of light source do you want to use? Outdoor lamps should not be energy guzzlers. Solar cells or LED lamps are especially energy-saving, and timers and motion sensors can further reduce energy usage; another advantage of light emitting diodes is that their light attracts fewer insects. What power supply do you intend using? Are the necessary cables, sockets and switches available? Without a power supply, even the brightest of lighting concepts is doomed. And after successfully navigating a path, who wants to trip over a carelessly laid cable? Take existing sources of light as your starting point. Remember not to outshine neighbours' lights, lighting from nearby rooms or even natural moonlight. Turn the space into an experience. Explore its depths. Accentuate external areas with subtle spots of light. Draw attention to individual bushes, trees or walls with light beams. Choose a warm white light colour of between 2700 and 3200 Kelvin. Higher values can create a wintery atmosphere, even in the summer. Read packaging for more details. Make sure you use a light source with a good colour rendering index. This is especially important in gardens. If the light is too orange, for example, even the greenest of gardens appears grey and dull. If a figure of 90% is mentioned, the colour scheme corresponds to colour reproduction in daylight. Install lower-lying lamps for a cosier feel and to recreate the atmosphere of campfire gatherings. And remember: attractive outdoor lamps are not only important in the summer. They can also bring to life the world outside your home on long winter nights. Views outside certainly don't have to end with the reflecting surface of a black windowpane.